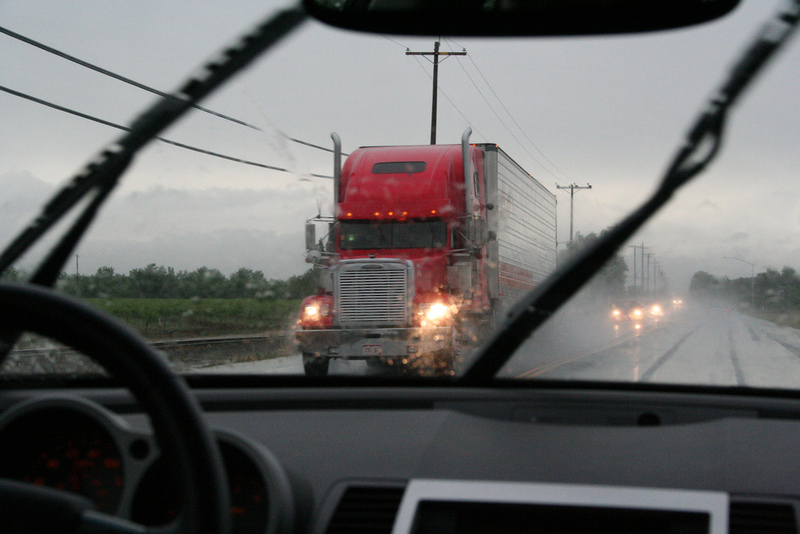 If your windshield looks like it has streaks or if there are beads of water left behind after you run your windshield wipers, it may be time to change the blade of your wiper. It is important that your vision is clear when you are operating a vehicle – for your safety and for the safety of others on the road. We recommend that you replace your blade every six months on average, especially if you are on the road daily and making use of your wipers. Here are some signs that your blade is worn or perhaps even defective and needs to be replaced. The rubber on your blade is split or cracked in various spots. There is cloudy film on your windshield left behind because of dirt, oil or grime on the rubber blade. The rubber appears to have pulled away from the wiper frame. The wiper frame is bent or broken causing the arm not to function properly. The blade does not make full contact with your windshield. In extreme cold temperatures, be sure to replace your wiper blade with a winter wiper blade, which tends to be thicker, more flexible and rugged to withstand freezing conditions. Winter wiper blades have a rugged rubber cover that prevents slush from freezing joints of the heavy duty frame. To help maintain your wiper blades, it’s a good idea to wipe the rubber on the blade using paper towels every so often in order to get rid of loose dirt or grime – this will eliminate or at least minimize the hazy film on your windshield. If your windshield still appears grimy or cloudy, be sure to use a professional grade, non-abrasive glass cleaner to get rid of the streaks or film. Simply spray some on and use a heavy duty squeegee for a quick clean up.